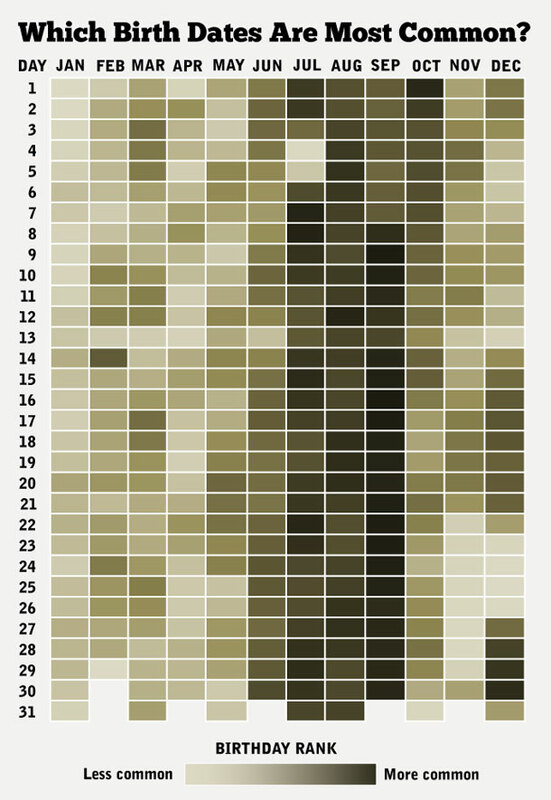 Last year on my birthday I created a quick heatmap visualizing birthdays by their rank on the calendar. Despite its flaws, the graphic went viral by The Daily Viz standards, receiving a quarter million views. 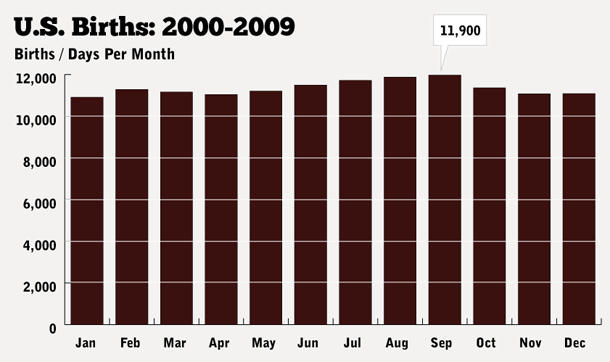 Most of the attention came in the month of May 2012. But what’s been interesting is its long-tail appeal. Every few months or so my traffic spikes — and I always know why. It has been viewed 100,000 times in the last year. This chart from Google Analytics shows the spikes, including one in recent days thanks to links from Radiolab and io9. Last fall, around the time that birthdays are most common, my wife and I had a baby, Eva, and I’ve found it difficult to keep this blog “daily” while also focusing on my day job. I’m using this most recent traffic spike as inspiration to get blogging again. I hope, someday soon, to create something that’s more popular than that silly heatmap. Stay tuned. Follow me on Twitter for updates. Today’s my birthday, and the weather is great. 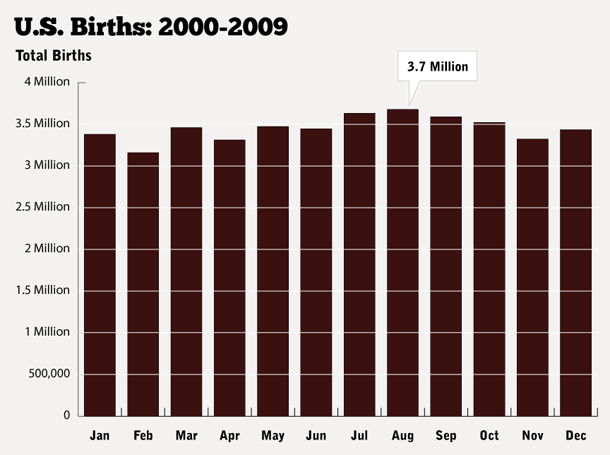 What’s it been like for past birthdays, I wondered.